If there was ever a time to justifiably promote counter-culture, then the time is probably now. Having more stuff, doing meaningless work to get it, and not being in control of what you already own, is no longer an acceptable way of living. Especially, if it doesn't make you happy and you have to exert more and more effort every year to keep up with demands. Some people blame their problems on someone else or on their circumstances. By transferring responsibility they are sinking even deeper into the abyss of the infirm. "It is someone else's fault". They have to fix this. There should be a law against this! ", is a common refrain. The Government is doing it or not doing enough. It is Trump's fault. Trudeau cannot be trusted. Soros paid them off. The Chinese are to blame. Idiots are voting. The system is rigged! Unfortunately, no amount of calling on the Government, someone else, demon, or deity, to solve our problems or bowing to postmodern moral grandstanding will solve the problem we have. Changing our leaders is unlikely to have the desired outcome. Protests won't work. It is more likely to get people killed or jailed. Life will not get better when the racists desist, men disappear, you change your gender, white privilege is punished, refugees leave, sinners stop sinning, we all become vegan, Brexit is cancelled, Mother Earth "saved", or feminism wins. Instead, more and more people are looking for alternatives to the current conventional way of living, and they are doing it by changing their thinking. People are downsizing, leaving behind, moving on, checking out and taking back control of their lives for themselves and the people they love around them. These folks all have one thing in common. They no longer give away control and responsibility for themselves and for their circumstances - not to an ideology and not to an institution, religion or state. They alone are taking command for their own sake, and for those around them! There are a growing number of "movements" that is evidence of transitional thinking. 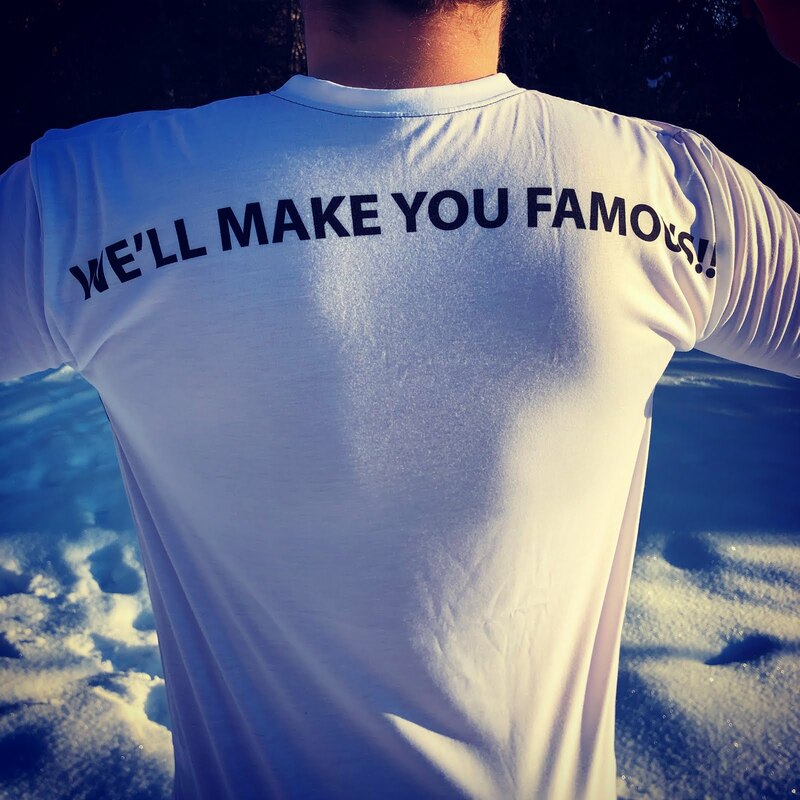 Homesteading, tiny houses, minimalism, self-education, growers, makers, Vanlifers and Fulltimers, are only a few ways of how a counter culture is developing. It is a movement in opposition with the conventional way we are told we should live to be happy and successful. People are going against consumerism with living tiny, minimalism and through homesteading. They are leaving meaningless jobs behind and becoming self-educated makers, craftsmen, growers, bakers, brewers, traders and online entrepreneurs. They are throwing off the shackles off locality by adopting nomadic lifestyles and avoiding mortgages, licensing and taxation. They barter and use alternative currencies for trade! People are realizing that we alone can take responsibility for our life and our destiny. It is the only path to a happy and fulfilled life. We have to solve our own problems first before we decide to put the blame on something external from us. It is done in small steps and by tiny increments. We believe that people's value system changes when they decide to take control of, and for themselves, and when they start to make things. Something as simple as frying an egg, folding your clothes or making your bed has the power, over time, to change a life. It changes a person because it restores ownership. With ownership comes responsibility. This simple concepts of ownership and responsibility confirm value or worth. With worth, there is meaning and purpose for yourself and for those with whom you choose to share. We are big proponents of making things. Our hashtag states, #makesomething! 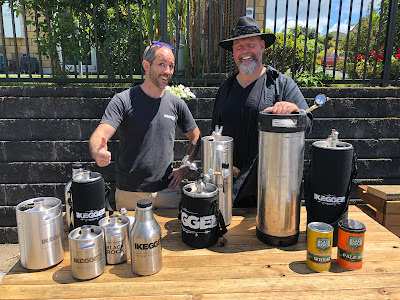 We are making our own beer thanks to the innovate beer brewing equipment of WilliamsWarn, and the quality concentrated wort from Black Rock Brewing, both from New Zealand. By making our own beer, we believe we make better tasting, fresh, more healthy, and affordable beer. We drink our beer without the need to front-up for licensing, packaging, distribution, excise and taxation. It is probably one of the most liberating things to do in today's age! We are encouraging all beer lovers to give it a try. 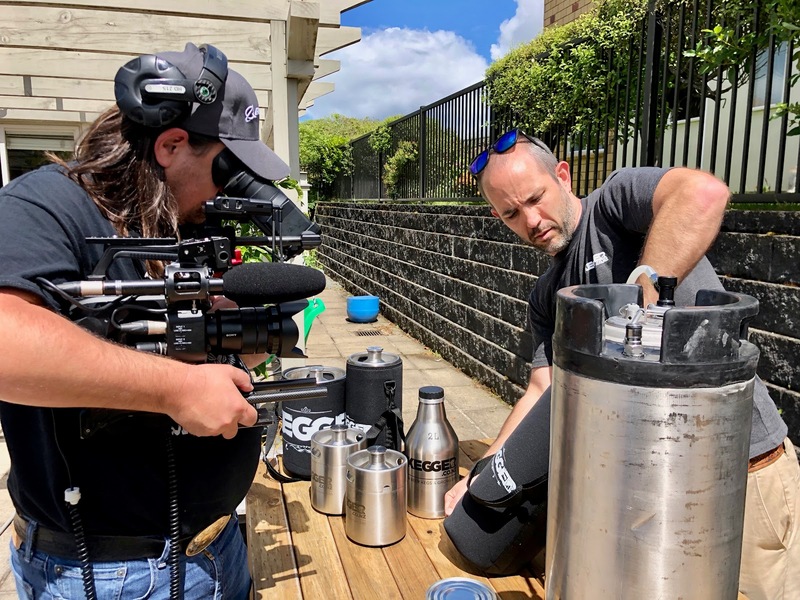 We are so enthused by this that we checked in with Andrew Hope from iKegger NZ to see if there is an even easier way we can make our beer while we are traveling in our vans in New Zealand. He gave us what we needed from his selection of kegs, taps, lines and sleeves and we are set to start our van beer brewing experience this March when we return to New Zealand. Andrew confesses that he has a vast and enormous love for beer. He and an Aussie mate came together and founded iKegger. iKegger NZ is a kiwi owned and run business that specializes in stainless steel portable Mini Beer Kegs and Growlers which have integrated taps and are powered by CO2 through mini regulators. It's like having your own personal bar with beer on tap, at home, but also the flexibility to take it with you when you are out and about! iKegger kegs are based on the same ball lock fittings that homebrew keg setups work on so they can easily link into existing kegerators or "keezers" and the fittings will work with your existing kegs too. We think that they not only have a better way to transport and keep beer, but we can also brew in the kegs while we travel. 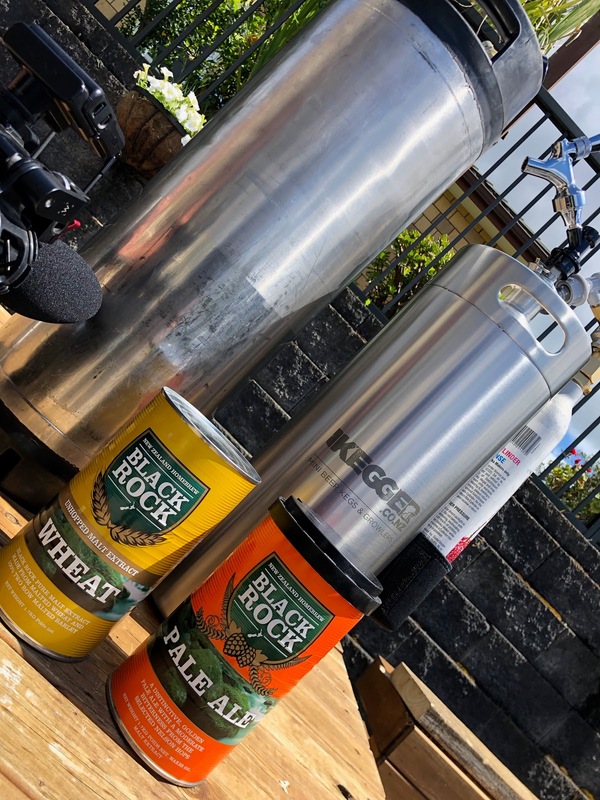 We will do it with the help of Black Rock Brewing ingredients. Andrew kindly provided us with what we need to get started with our brewing experiment. We ran a few test runs during this southern summer and will be ready to showcase it when we return this March to New Zealand. 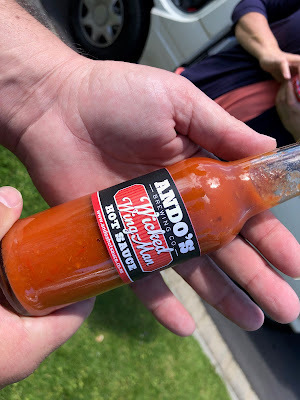 In the meantime, please meet Andrew and reach out to him if you are in New Zealand. He may have a plan for your next fresh beer.